During the first four years, tremendous efforts have been focused on the scientific and technological barriers that were identified from the start of the program to enhance our understanding of the human brain function associated with behavior and performance in complex real-life contexts. Much progress has been made against these barriers and the progress made thus far has given the alliance new insight and energy to focus the direction of the alliance for the future of the program. The CaN CTA has made advances in portable, user acceptable, sensor systems that enable holistic monitoring of brain and body in realistic settings. The CaN CTA designed and implemented the Large Scale Integrative experiments to explore brain and body processes in less restrictive and more naturalistic experiment paradigms. Data collection in the Large Scale Integrated Experiments (LSIE) have produced an unprecedented body of holistic data from these naturalistic experiment paradigms, which we will utilize to contribute to more robust modeling of brain processes across individuals as well as characterize the differences. The CaN CTA has also made advances in innovative computational methods to take advantage of the large scale, high dimensional data that is being produced. The CaN CTA is poised to take these advances further, and has leveraged the work done to date and focus its efforts towards some of the important gaps in neuroscience research, particularly research that would enable more robust brain computer interaction technologies. To this end, the CaN CTA has re-aligned its research composition into three new science areas. First is the Advanced Computational Approaches Science area. This science area retains the label and general purpose as it was defined at the start of the program. However, there will be more focus on exploring the large, multi-aspect data sets that are being produced in Large Scale Integrative experiments, as well as similarly complex data from related studies and future projects being planned in the other two science areas. The creation and refinement of advanced methods in ACA will enable expanded exploration of the brain in real-world contexts, and also enable more robust and safe future BCI technologies. Second is the Brain Computer Interaction Technologies Science area. The goal of this area is to directly address several key issues which have limited the widespread adoption of BCI technologies. One of the primary issues is the lack of robustness in BCI technologies that make using them often times difficult and frustrating. Key underlying causes of this lack of robustness are individual differences - the fact that different individuals will have differing neural responses to the same stimuli, making it difficult for algorithms to work across individuals; and non-stationarity - the fact that individual’s neural responses change over time. The alliance will directly address these two underlying causes by studying how the changes in individuals’ mental states over time result in changes in BCI algorithm performance, and using those methods to develop BCI algorithms that are capable of adapting to these changes in mental states; as well as by using novel machine learning methods to improve the ability of BCI technologies to be rapidly and accurately calibrated for new users. The CTA will also explore novel application domains, such as integrating BCI technologies with intelligent tutoring technologies, as well as a novel approach for building human robot communication lexicon using EEG RSVP paradigm. Third is the Real World Neuroimaging science area. In this science area the CTA will expand its efforts in the examination of the brain outside the lab by focusing its investigation on real-world fluctuations in stress and fatigue and how these affect behavior in both real-world settings and simulated settings by leveraging the holistic monitoring approaches developed previously within the CTA. 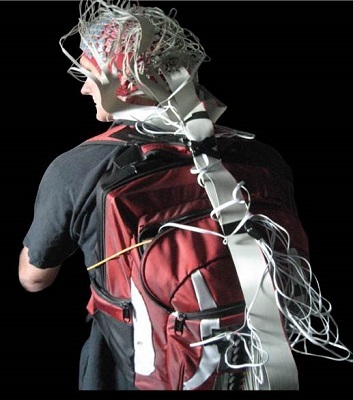 Additionally, the CTA will extend the efforts made in developing and applying dry, wireless EEG systems and investigate approaches to assess and validate such systems for use in real-world settings. In conjunction, the CTA will investigate methods to improve the reliability and performance of such dry electrode material. Click Here to view CaN CTA Publications on Google Scholar.